This review marks the fourth and final in a series of posts on books I'm looking forward to in 2015. The Synopsis: Aaron Soto considers himself generally happy right now. Sure, it's been a really difficult year--his father's death, his own attempted suicide--but now he's got a great girlfriend, he's getting along really well with his friends, and he's just met this new kid in his Bronx neighborhood, Thomas, who seems like he's going to be a great friend. So, yes, Aaron is happy. That is, until his happiness starts to come apart at the seams. Is he really happy? Is the past six months of his life the same six months that he remembers? And what are these feelings he's starting to feel, and how can they possibly fit into the machismo culture he's grown up in? The Review: Holy smokes, does this book pack a serious punch. Punches, plural, is more like it--there's the matter-of-fact setting and characterizations that make up all of Aaron's world. There's the theme of self-discovery that escalates to jaw-dropping, plot-shocking proportions. And there's truth in every single moment of it, which maybe packs the most emotional and profound punch of all. Readers will find themselves considering the book's sci-fi-lite memory-altering procedure so they can experience it all anew. Why I can't wait: I NEED TO TALK TO TEEN READERS ABOUT THIS BOOK. I'm really glad that Soho Teen has so obviously embraced Silvera and his storytelling--it's the best possible tie-in to the current #WeNeedDiverseBooks project, real stories about real people. But to me personally, it's a book with a setting, a voice, a premise, and a plot twist that I never saw coming. 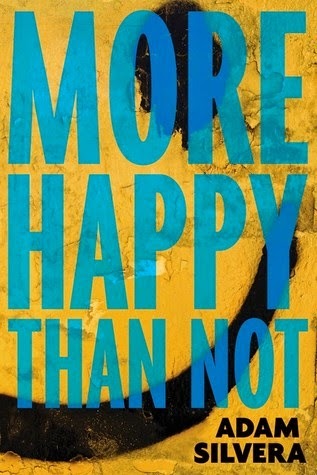 As soon as I started reading, I knew More Happy Than Not is exactly what's needed in YA right now. This review marks the third in a series of posts on books I'm looking forward to in 2015. The Synopsis: Samantha and her father are the only Chinese family in St. Joseph, Missouri. She's long wanted to return to New York City, where she grew up, but her father has his sights set on California--it is the era of the gold rush, after all. After a series of terrible events, Sam finds herself on the run with an escaped slave, Annamae. Together, these two bright, strong, complicated girls make their way along the Oregon Trail, aiming to conceal their identities as they cross the dangerous countryside and head for the freedom and resolution they both crave. 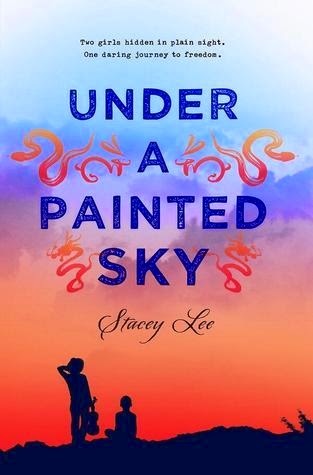 The Review: Under a Painted Sky is a darn good story. It's filled with well-drawn, memorable characters who encounter their fair share of anxiety-inducing drama, but Lee is so deft a storyteller that it all works quite well and doesn't feel contrived. If this title and 2013's One Came Home are the harbingers of a great new surge of westerns with sassy lady leads, readers are in for a serious treat. My library has a specific section for junior high fiction, and this title will be a perfect fit for that collection. Why I can't wait: It's diverse without the diversity ever feeling forced or tokenistic. It's feminist without ever smacking readers upside the head with it. It's a western set on the Oregon Trail, and it's a story about a group of teens juggling dreams, secrets, and survival. Is there anything not to love in that premise? I'm hand-selling this one 'til the cows come home. Digital review copy provided by the publisher. This review marks the second in a series of posts on books I'm looking forward to in 2015. The Synopsis: Twins Mark and Scott are on their summer vacation in the 1970s, and they can't seem to stop arguing and getting into trouble. That is, until their grandfather suggests they come up with a project and work together. 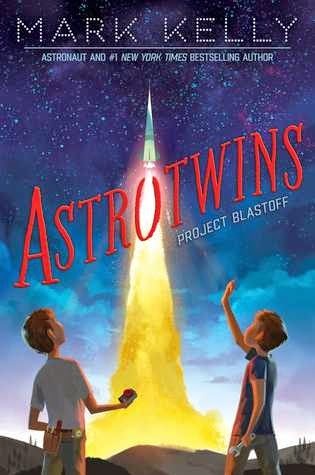 The twins gather a group of old and new friends--including, gulp, GIRLS--in pursuit of their secret project: building and launching a rocket into space. The Review: Astrotwins is a fun read for the third- to sixth-grade set, part realistic/historical fiction based on Kelly's childhood and part adventure/science fiction (just at the end). In addition to its can-they-do-it storyline, the book also includes some simple and factual descriptions of some of the math and physics that go into rocketry and space travel. While these scientific bits may seem a bit didactic to the adult reader, I think kids will mostly find them a useful explanation of what the twins and their friends are learning and building. While it's ultimately science fiction, this is a strong introduction to the realities of how space travel works. Why I can't wait: I am all about STEAM, sure, but I am especially all about that space. I love that this book is co-authored by a real astronaut who quite obviously thought about being an astronaut when he and his twin were around the same age as the target reader for this book. We need books--stories, non-fiction, all of it--that emphasize how wondrous, exciting, and realistic science careers are. And think about this: NASA has set the goal to put people on Mars by 2035; that would mean that the kids in your library right now would be around the right age to qualify for the first manned mission to Mars. Wow. This review marks the first in a series of posts on books I'm looking forward to in 2015. The Synopsis: Clementine is about to wrap up her year in third grade, a transition that she doesn't quite feel ready for. Meanwhile, her mother is close to giving birth to her new sibling; she's giving her dad the silent treatment; and her best friend Margaret is a bit wedding crazy. That's a lot for a girl to handle during the last week of school! The Review: True to form, Clementine rocks her kid logic and her prone-to-light-mischief flair. 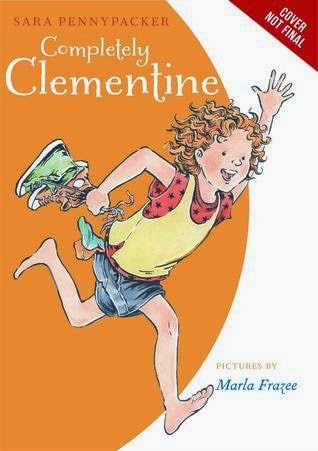 Pennypacker has a knack for capturing the day-to-day interactions and concerns of childhood without making them feel mundane or inconsequential--in fact, she's great at getting her readers to feel 100% on Clementine's side, no matter what. This final book in the series is no exception. Frazee's illustrations weren't final in the galley I read, but the rough sketches look to be spot-on, as always. Why I can't wait: I love Clementine. I know there are some who find her a bit cloying, but I love that she has such a strong personality. Her best friend Margaret has a strong personality, too. And, basically, I love realistic fiction for girls that depicts female protagonists with strong personalities, because so many young girls have strong personalities, too. It's quiet feminism--"These characters are their own unique people with concerns and missteps and triumphs, and so are you, reader!" Plus, this is the final Clementine story in the series, and wrapping up a great series is always excitement-worthy. On Saturday, I collaborated with my new coworker Amy Holcomb on our first family mission/challenge program offered in conjunction with our new STEAM space at the library. More on that later, but for now, a recap of this excellent, hands-on STEAM program! Amy, one of our program assistants, and I got school-age kids and their caregivers in our multipurpose program room, which boasted plenty of space for one supply table and four building tables. As part of our introduction, I started to get kids thinking about the components that a robot, like a BristleBot, might require. We talked about power sources, circuitry, motor, and body, with lots of good participatory guesses from kids as I posed questions. Then Amy led the kids through a visualization of how circuits work, allowing attendees to really grasp the concept. After that introductory info, we set families loose to build, test, and tinker with their BristleBots. We had created two large (2'x3') posters explaining the component parts and assembly steps for the BristleBots, which provided clear visual instructions as families got to work. Kids came through to collect their supplies, then headed for one of the four building tables to do their work. 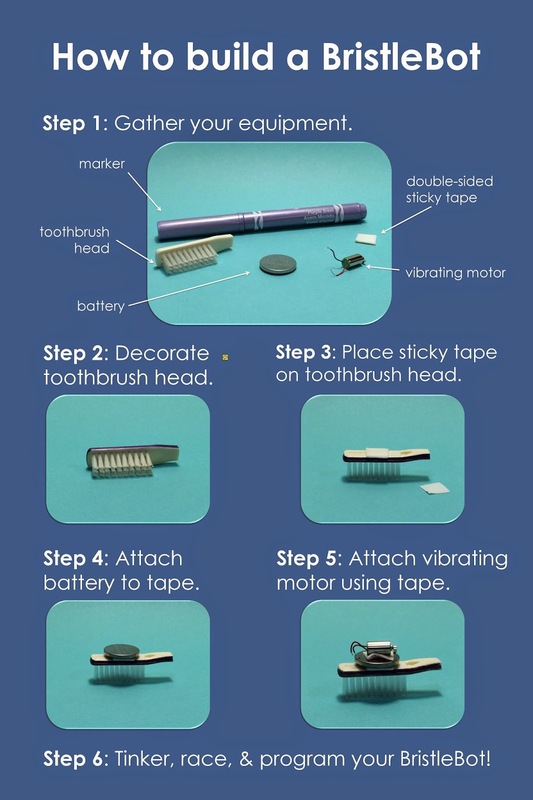 Place a piece of the sticky tape on the head of the toothbrush. Attach the battery to the sticky tape, ideally with one of the wires touching the bottom of the battery (this will be more secure than adding the wire after the fact). Use another piece of sticky tape to attach the motor to the top of the battery, ideally with the remaining wire touching the top of the battery (again, for simplicity's sake). The motor should now be vibrating; if it is not vibrating, check to make sure that a) one of the motor wires is touching the bottom of the battery while the other is touching the top, completing the circuit; and b) the moving part of the motor is not obstructed. Set the BristleBot on a flat surface, bristles down, and watch it move! Tinker with the design to make the bot behave how you want it to--race in a line, turn in circles, etc. Intentionally manipulating the bot's design is a simple form of programming! Families spent about 40 minutes building and tinkering with their BristleBots before we lined all the tables into one massive line and let all the bots loose at once. What a great creative challenge! Kids (and their caregivers) got really into the task of tinkering with their bots over the course of our hour-long program, testing new designs and helping one another troubleshoot. That's the perfect type of STEAM thinking we're aiming to promote with these types of programs--the wonders of building, creation, tinkering. And knowing that science is so much more than something you encounter in a textbook. If you're interested in another take on a BristleBot program, check out Anne's at sotomorrow--she used a kit to supply all her program materials, making the maker program process even more straightforward. Also, as an aside, it feels so great to be offering programs again. The past few months, while gratifying and filled with lots of new-job learning, were definitely marked by the fact that I wasn't programming. Earlier in the autumn, I put together a video on advocacy for Marge Loch-Wouters to use in her online course on children's and young adult library services. I feel strongly about advocacy--multi-faceted advocacy. I think it's important that we prioritize advocating for children in any venue we can; advocating for the value youth services adds to any library; and, also, advocating for ourselves as professionals with needs for training as well as work/life balance. If you're interested in hearing what I had to say as an introduction to advocacy, check out the video below.